If you want to reach today’s pet parents, look no further than their fur-covered couch. 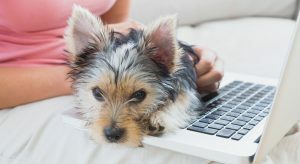 With a laptop propped up on their knees and an animal curled up at their side, pet parents are consuming pages upon pages of web content each day to stay in-the-know about the latest in pet nutrition, training and healthcare. They don’t mind spending a large chunk of their income on products and services like yours if it means getting the very best for their pets. But that won’t happen if they can’t find you online, or if your content doesn’t inform, entertain, and most of all, reach their hearts. Since 2014, I’ve helped dozens of pet industry businesses find their voice, build a following and boost their online revenue by providing compelling blog posts, persuasive web copy, vivid product descriptions, engaging social media updates and effective press outreach. I can’t wait to do the same for you. Get in touch to schedule your FREE consultation. Not ready to work together just yet? 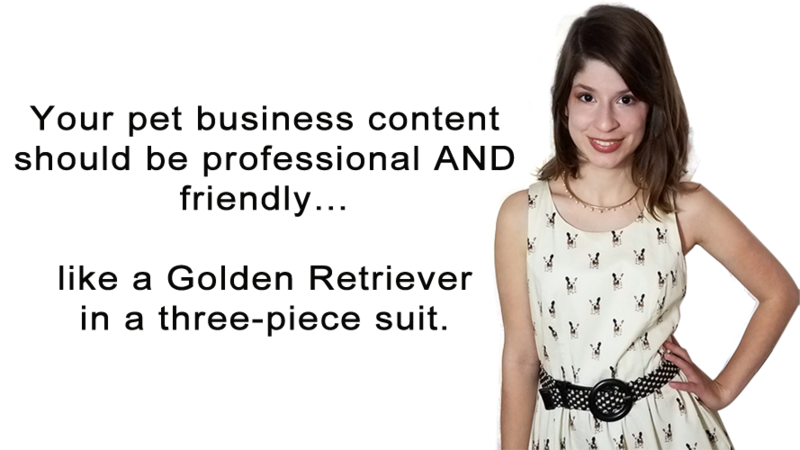 Subscribe to get your paws on my free pet industry marketing tips.